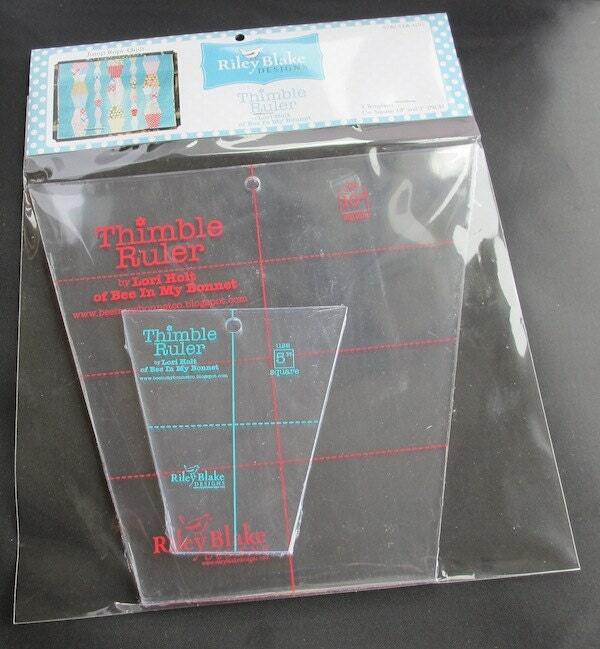 Thimble Rulers With 10" and 5" Sizes with Retail Packaging. Also included is a link to download the free quilt pattern pictured on the package header. 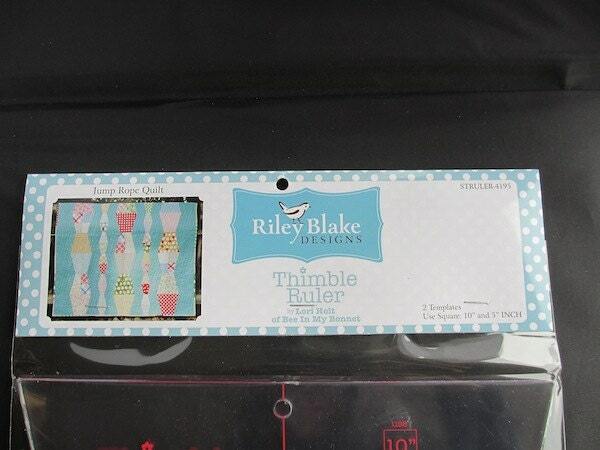 Rulers are designed by Lori Holt of Bee in my Bonnet. Created for use with 10" and 5" pre-cuts. Rulers are made from clear acrylic.